I’ve decided to set a little challenge for myself this November – to adopt a more positive attitude for the month. I began cultivating a positive mindset over summer, and by the end of August I’d never felt so calm and happy! I had great intentions to keep it up while in college, but I let my habits and routines slip, and slowly let myself slide back into my old way of thinking. I’m aware that the whole ‘positive thinking’ and all the stuff that goes with it can sound like hippy nonsense at first, but hear me out! It’s genuinely life-changing. So how does one go about adopting a better mindset? Making an effort to think more positively will only get you so far. Without creating (and maintaining) certain habits, realistically you’ll forget pretty quickly. Below I’ll outline some of the ways I cultivated a positive mindset over summer, which I’ll be returning to this month! I actually was going to write this blog post in August – I felt so happy and was dying to share how I became that way with the world! Then life got in the way.. This time I’ll have you guys to hold me accountable to keeping it up though! Hopefully some of you will join me trying to improve your own mindsets too! So without further ado, here are some of the ways I’ve found useful to improve mindset. I bought this book by chance a few days ago, and it’s the reason I’m writing this blog post. 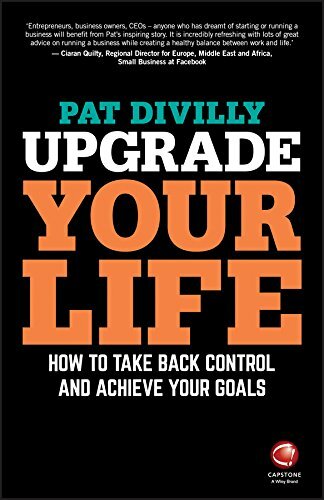 Reading it reminded me of all the things I was doing over summer – Pat mentions most of them in the book! I’ve been feeling so inspired since reading the book, and ready to smash by life goals! There’s loads of blank spaces in the book to fill in your goals, values, etc. I usually skip all this and just read the book, but this time I properly committed and scribbled all over the book – If you get the book, I’d recommend you do the same! It really does make such a difference. Pat talks about the importance of positive thinking, meditation, gratitude, looking after your health, and a whole host of other ways to help you reach your goals. It’s well worth a read! Mindfulness has exploded in the past year, with a more books and apps released on the topic everyday. There are so many benefits to practising mindfulness/meditation including anxiety and stress reduction, lowering of blood pressure and an improvement in concentration. I found the Headspace app great for practising mindfulness – it guides you through it so your not left just fighting your thoughts for 10 minutes! There’s a free 10 day course on the app, which I’d highly recommend trying. I always feel so much calmer after the 10 minutes, it’s fantastic! I’m going to aim to do the 10 minutes everyday in the morning or before bed for the month, and see how it goes. Another daily practise that can change your mindset is gratitude. I’ve gotten into the habit of writing down 3 things I’m grateful for in the morning, and then again before I go to sleep. It’s weird at first, I’ll admit – I just didn’t know what to write for the first while! As you go on, you begin to think of all the little things you’re grateful for – everything from that first cup of coffee in the morning, to the feeling of a comfortable bed at night. I find it really helpful to have a journal for this – I’d definitely forget otherwise! I use the Self Journal, which I couldn’t recommend enough. It has space for gratitude every morning and night, the lessons you’ve learned, your daily wins, and a timeline for you to plan your day. I’m on my second self journal, and I don’t see myself ever going back to a regular diary! If you’re trying to become a more positive person, it makes sense to avoid any unnecessary negativity, right? I find social media to be a huge source of negativity at times, and it’s completely avoidable. I’m not saying to delete Instagram – I’d never survive that! There’s plenty you can do to make it better, however. How many people do you follow on social media that slightly annoy you? You know those people that mildly irritate you with everything they post, but you still follow for some reason? You can literally just unfollow them! Set yourself some time to go through the list of people you follow on each social media platform, and unfollow everyone that isn’t adding value to your life. Be brutal about it – no one will notice the loss of one follower! Go through your Facebook news feed, and unfollow everyone who posts annoying stuff – you don’t even have to delete them as a friend to do this, so they’ll never know. Unlike any pages that post things that annoy you – if you’re on a diet it might help to get rid of all the foodporn ones too! With the amount of time we all spend on social media, it can make a huge difference to our mood – make sure it’s a positive one. In terms of productivity, getting rid of notifications from social media can help hugely too. Most apps let you choose exactly what you get notified about. On Instagram, for example, you can turn off ‘like’ notifications, and choose to only be notified for direct messages, comments etc. I’ve turned off Facebook notifications for the last few days, and I feel I’m distracted way less often already. You could go one step further and delete some of these apps off your phone, though personally I’m not quite ready for that! Either way, know that you can decide on exactly what you get notified about on your phone – you’re in control! The amount of sleep you’re getting has a huge impact on your mood and mindset. Do you feel ready to conquer the world when your severely sleep-deprived? I sincerely doubt it! Getting up early to be productive is all well and good, but if it’s at the expense of sleep, it going to be counter-productive in the long-term. Getting 7-8 hours of good quality sleep can do wonders for your concentration, productivity and overall health. If you’re unconvinced, The Sleep Revolution by Arianna Huffington is a great read, and is full of tips to get a better night’s sleep. For me this will mean going to bed in enough time to get 8 hours sleep – I just don’t function on less than that! Over summer I changed my playlists to podcasts on my daily commute, and learned so much that way! There’s tonnes of great podcasts out there on pretty much every interest – pick ones you like, and get learning! One of favourite ways to relax is to go for a long walk and plug in a podcast – far more relaxing than 3o minutes on the treadmill! One of my favourite podcasts for mindset is ‘Mindset with Muscle’ by Jaime Alderton. Listening to both that, and Jaime’s snapchat have been such a help – I’d highly recommend giving them a listen! I feel like I could go on and on with this blog post, but I’ll end on this point. Making a conscious effort to think positively is key. It can be tough at times – when all your friends are bitching about someone, it’s all too easy to chime in and agree. 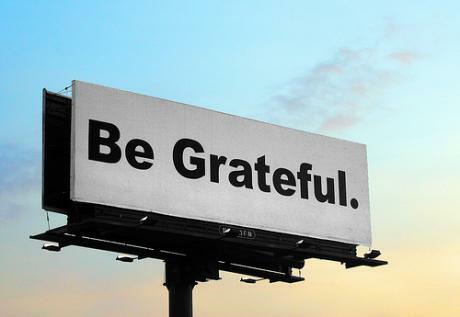 When you’re trudging home in the rain after a long day in college, being grateful is the last thing on your mind. That’s why it’s so important to have habits like gratitude and mindfulness to keep you on track. It takes quite a bit of effort at first to reframe your thinking, and see the positives in your life instead of the negatives. It’s completely worth it for how happy you become though! Life’s too short to spend complaining. Those are my tips for a positive November – hope you found them useful, and more importantly will implement some of them! I really just skimmed the surface of a lot of the topics, but there’s a tonne of books out there if you want to know more. I’ll be using the hashtag #nnnovember and would love if you guys got involved in trying to become more positive for the month! Previous Post Should you track your sleep?